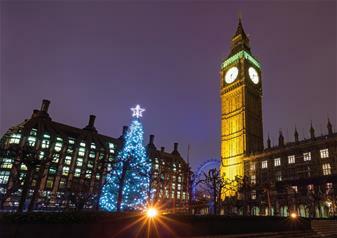 Enjoy a special festive treat exploring one of the best cities in the world this Christmas Eve! Climb aboard one of our open top buses at any of the 60 stops across London and start your Christmas adventure! Stopping at all the most iconic locations in the capital including Her Majesty’s home of Buckingham Palace, the mesmerising Shard, the London Eye and the venue for Prince William and the Duchess of Cambridge’s wedding, Westminster Abbey! Valid for one calendar day, you will have the time to hop-on and off as you please on four different routes giving you access to the very best that London has to offer. With audio guides providing you fascinating commentary throughout your festive exploration, you will be sure to have a Simply Wonderful Christmas Time!